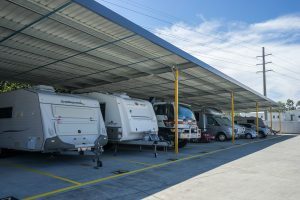 Caravan Storage Facilities Serving the whole of the southern end of the Gold Coast including Burleigh, Robina & Varsity Lakes. Suitable for long term or short term secure storage for your caravan. Premium carport style and undercover secure options available.